Mary, Queen of Heaven Parish welcomes you for the celebration of your marriage in our church. 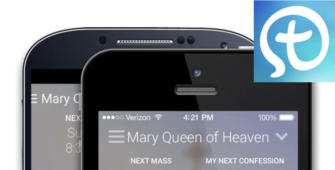 As a Catholic Parish, Mary, Queen of Heaven follows the teachings of the Church concerning the Sacrament of Matrimony. The parish is bound by the laws of marriage established by the Catholic Church for the whole world and by laws and guidelines established by the Bishop of Covington. Since many weddings take place here we have drawn up these wedding guidelines to let you know our expectations of you as you come to seal your love in the sacrament of marriage here in our beloved church. 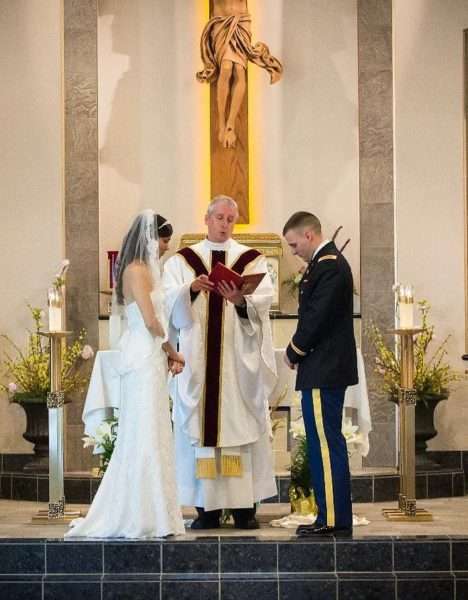 We will do whatever we can to help you to celebrate your wedding joyfully and with the dignity due to the sacred sacramental rites and to the holy place in which they are performed. May your wedding be one in which you and your families and guests, perceive love, commitment, maturity, and a joyful union with God throughout the entire church service. For additional information, please contact the parish office at 859.525.6909. We wish to do all we can to make your great day a memorably beautiful experience, counting always on your good cooperation.